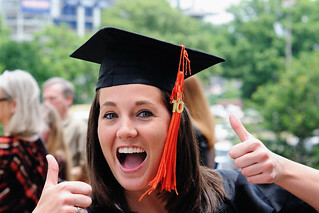 There’s a lot of information online about how to increase your chances of getting into University. Econ At Uni is different because all of our advice and tips are super focused on economics and business courses (and even relevant for psychology, geography etc.). What’s more is that everything here is written by someone who has successfully studied at their top choice university. Most of the posts are by an Oxford Economics & Management graduate written during and after his application. How can I make the most of this website? Given that we’re in early September right now, you have plenty of time to prepare. This means not only working on your application but working on yourself. First things first you should understand how the application system works in the UK and how to pick the right course (if you don’t know already). Next, you’ve still got time to do some reading which will help you write a stronger personal statement and excel in interviews. If you’d like some tailored advice on how to make the most of the next 2-3 months before your application is submitted, feel free to book a mentoring session where a past Oxford/Cambridge economics graduate will answer your questions and help you decide how best to prepare. Ready to write your personal statement? Before you even start writing your personal statement, check out the Personal Statement Guide which has successfully helped many students write the strongest personal statement possible. For background on what a personal statement is, read this post on writing a personal statement which sets the scene for probably the most time consuming part of your application. Once you’ve thought about the contents and started to put pen to paper, it’s time to think about how to structure your personal statement. Applying to Oxford or Cambridge University (Oxbridge)? Oxford and Cambridge podcasts – surprisingly few applicants will have listened to/watched these so get ahead of the curve and absorb all the useful nuggets of information they provide. You’ll have to sit the TSA which is an additional exam for certain courses (such as Economics & Management at Oxford). 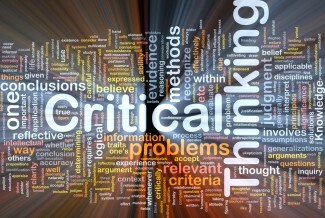 To get a head start, see our post on preparing for the TSA and other critical thinking tests. Is there anything else you’d like guidance on? Just leave a comment below or contact us. Management At University – what is it? While it is possible to study many course subjects before you get to university, this isn’t always the case for a subject like management. The closest you can get is probably A-Level Business Studies but even this is very different and lacks the academic rigour with which you will study management at most universities. So here’s an example of an article that’s been in the news recently and caught my eye because of the importance of this topic in management. By the way – don’t be put off if this topic isn’t you cup of tea. The diversity of topics you can study in a management degree is amazing and this is just one particular topic you might study. It’s very different to other management topics such as long tail (marketing), double entry (accounting), culture and so on. Most management students will be familiar with the work of Henry Ford (started Ford Motor Co. in 1903) and his pioneering work on assembly line manufacturing. Before Ford started making cars, most cars were produced as a unit – i.e. a team of workers works on each car. However, at Ford’s early plants, each worker would do the same task over and over again – so instead of completing various tasks to build 5 cars a day, a single worker would 100 car doors to 100 cars in his day. This allowed Ford to reduce the price of the famous Model T from $850 in 1909, to $450 in 1915 and then to $260 in the 1920s. Interviews may be a month away but there’s no better time to start preparing than now – especially because you are often given only a few days of prior notice! To make preparing easier, Econ At Uni lets you download interview briefings – these are reports on a specific topic (in this case executive pay, which refers to CEO and bankers’ salaries and bonuses) that has received a lot of media attention. This briefing is based on the Guardian article titled ‘Three Ways to Tackle High Executive Pay‘ which is similar to the kinds of articles you may be presented during your interview or 15 minutes before your interview for you to prepare and be ready to discuss when you start interviewing. You will learn how to dissect the author’s line of argument and form your own opinions on the issue so that you can discuss the topic with the interviewer in a confident and well-reasoned manner. You can view screenshots of the first two pages of the briefing below and when you’re ready download the briefing for just 99p. Following the recent post about how to prepare for the TSA exam, I have been asked if there is a framework that can be applied to answering TSA essay questions (Section 2) in which you have 30 minutes to write a short essay. While there is no one size fits all framework, you can use the following tips to focus your thoughts, relax and write a well structured answer to most TSA essay questions. A) Should Parking Fines Be Based on the Driver’s Income? Implied problem: parking fines can often be ignored by wealthier drivers because the amount of the fine is too small to change their behaviour and provide a strong incentive to obey parking rules. Proposed solution: link the value of the fine to the driver’s income. Clear up definitions: what is being measured as part of income? PESTEL and feasibility: would alternative ways of determining parking fines (e.g. by size of car) be feasible to implement? [Social] would linking parking fines to income (or not doing so) have a disporportionate effect on a particular segment of society (e.g. the poor)? [Environmental] Are there better ways of determining parking fines – such as by environmental friendliness of the car? B) Should governments only fund scientific research if it is of direct benefit to society? Implied problem: government spending on scientific research that does not have a direct benefit to society could be more effective if spent on something else. Proposed solution: governments should only fund scientific research that does have direct benefits to society. PESTEL & feasibility: is it always possible to objectively determine if particular research is a direct benefit to society? [Economic/Social] Would research that is not directly beneficial to society have significant indirect benefits (e.g. space exploration)? Will this type of research still be funded by private agents? Final Thoughts: Note that this is one way of thinking about TSA essay questions that I have found especially effective – it is not a definitive guide to answering questions and it may or may not work for you and the questions on your exam. If you are looking for tips on part 1 (TSA maths and logic questions), I recommend Thinking Skills by Geoff Thwaites and John Butterworth , as well as TSA past papers for practice. Do you have more questions? Leave a comment below. Have your say: what would you like to see on Econ At Uni? How can we help you out even more with your application? We’d love to know your views on what information you want to get, if you are looking for any tips or advice on specific issues or any other ways in which we can help you out (e.g. by offering Skype or in-person personal statement workshops). A simple guide for structuring your Personal Statement. This template breaks down the statement into 4 sections. It can be difficult to maintain flow given the strict character limits imposed on the UCAS form, so you are encouraged to deviate from the template where appropriate. The most important thing about a Personal Statement is that it is PERSONAL – make sure your personality comes across when you write yours. By the way… have you checked out the Economics Personal Statement guide? You will only find it on Econ At Uni. Any unusual achievements – have you been on TV? Slip it in casually. What do you read/do to keep abreast of current events? You could mention a book here if you wanted to. Refer to your future: allude to the fact that you’re still young and don’t know exactly what you want to do, but have a good idea and doing this course at uni will help your ideas to mature. And even if you didn’t it’s still not too late! The following books are light reads, filled with anecdotes. Even if you have the slightest interest in the way the world works, all three will be of interest. The first is highly recommended for Economics applicants, while the third will appeal more to the Psychologists/Managers of you. The second is a good general read for anyone about the financial crisis and is a must read if you’re considering a career at an Investment Bank or hedge fund. 1. The Logic of Life by Tim Harford – from the author of The Undercover Economist comes the Logic of Life. Most economic theories are underpinned by the assumption that people – sorry – “economic agents” – are logical or rational in the way they behave and make economic decisions. But are they really? Tim thinks they are. A useful book to form your opinions on one of the most fundamental but hotly contested assumptions of modern economics. An ideal discussion to step into during your university economics or philosophy interview. 2. The Big Short by Michael Lewis – from the highly acclaimed author of Liar’s Poker comes the latest instalment. A must read for those of you considering a career in the world of Finance. Even if you’re not, it’s again very handy for university interviews. It even doubles up by providing great conversational fodder for dinner parties with Bankers, Economists, Politicians or anyone willing to talk about the GFC. 3. Outliers by Malcolm Gladwell – you might be noticing a trend arising in these recommendations. All these authors have previously published books which have been very successful and proved to be enticing reads for Econ students and this is no exception. This one is more for the psychology and management aficionados out there, which takes a look at why people are successful. Pay particular attention to the section on Hofstede’s dimensions of culture – there’s a good chance you’ll be coming across it again at University.